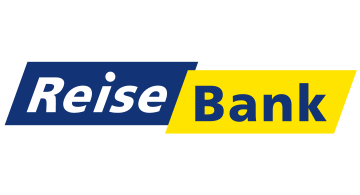 ReiseBank AG has more than 85 years of experience and is Germany's market leader in foreign currency exchange. Additional segments of activity are purchase and sale of precious metals, operation of cash dispensers and currency exchange machines, ReiseBank MasterCard® and ReiseBank TravelCard (first German multicurrency prepaid credit card), cash provision and collection for corporate clients, tax refund service with different providers. Furthermore ReiseBank is one of the largest agents of Western Union money transfer in Germany. As a 100% subsidiary of DZ BANK AG ReiseBank is part of the cooperative financial group Volksbanken Raiffeisenbanken with about 1,000 cooperative banks in Germany.